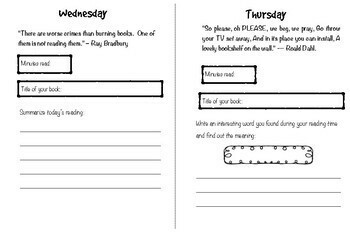 I used this reading log during reading month with my students and they really enjoyed the focus on the different activities each day. It also has fun quotes for them to read each day. I hope you enjoy it too! Stay Connected: For the 100th Time Facebook! . 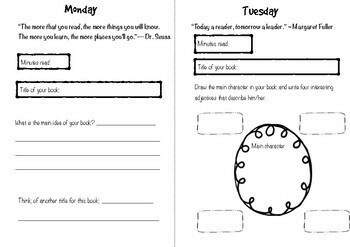 Pirates Past Noon Activity Booklet + Free Word Cards. End-of-the-day Questions for Wrap Up. Morning Meeting Questions & Prompts. 2D and 3D Shapes Riddles and Activities! For 3rd, 4th and 5th grade. Or Grab some of my FREE products! 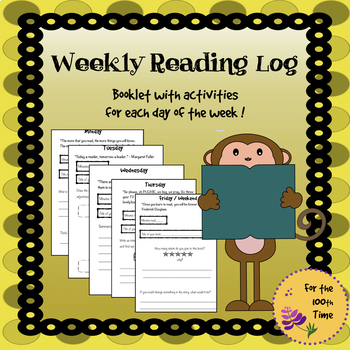 Reading Log Monday Through Thursday.